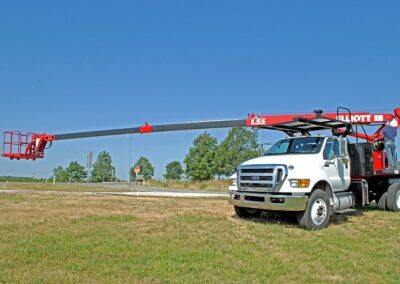 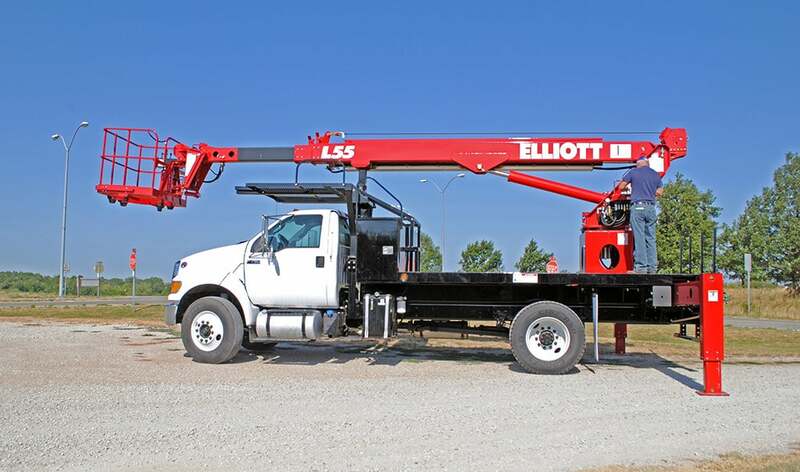 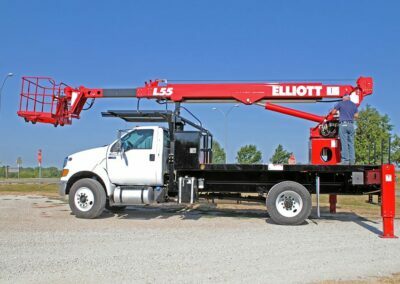 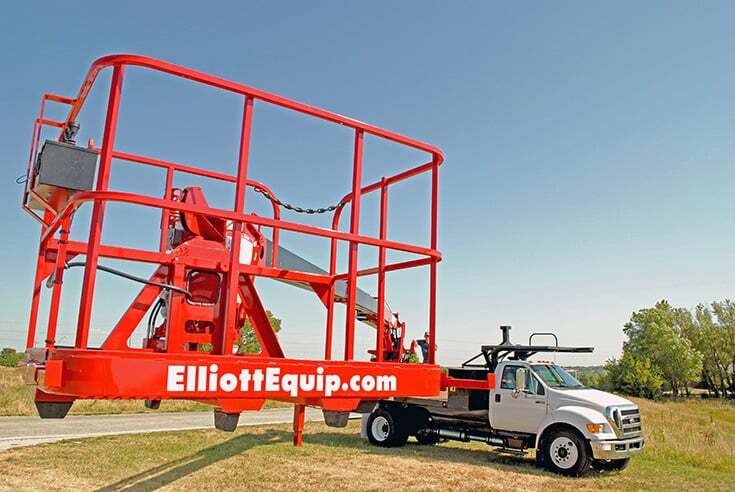 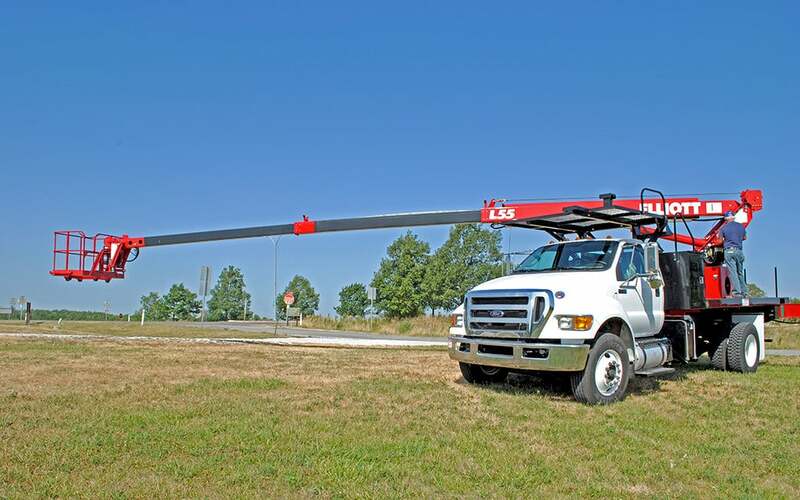 Elliott’s L55 HiReach features a 58′ working height and a 30″ x 54″ two-man work platform with a 600 lb capacity. 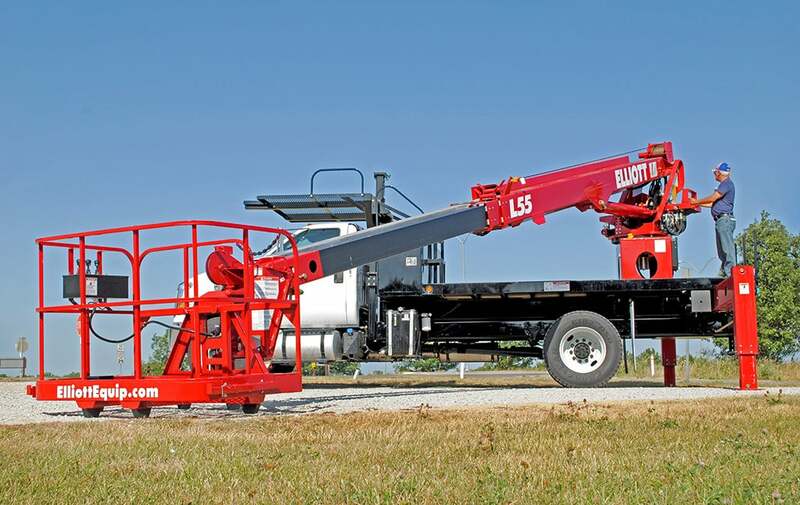 The three-section hydraulic boom offers smooth functionality and a precise ‘point and shoot’ ride. 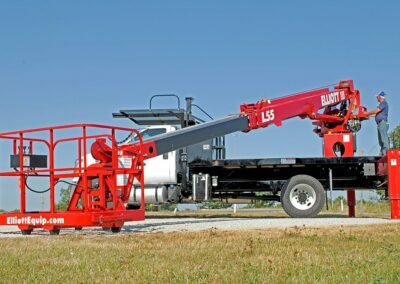 The work platform is hydraulically self-leveling and hydraulically rotating to get you to the work area safely and comfortably. 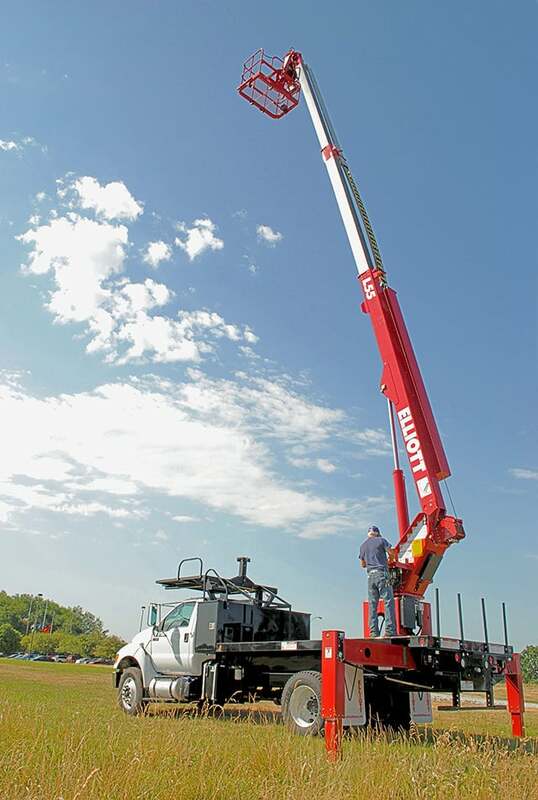 As with other HiReach, the L55 HiReach is available with a main winch (5,900 or 2,000 lbs) and Elliott’s ‘Office in the Sky’ external cable carrier system to bring your tools into the work platform.